Your recipes deserve the best spot among search engine results. This is why in this update we put the accent on integrating the Schema Markup. In short, it helps you structure the page and let search engines find and display rich snippets for your recipes. 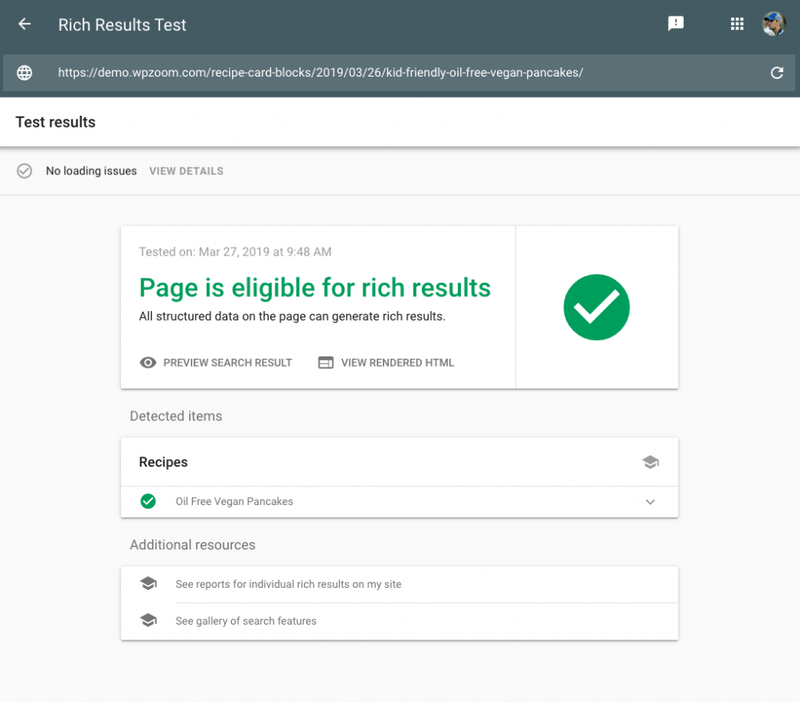 Using the new block from Recipe Card Blocks with Schema.org support will reveal some new options that give you total control on how your recipes are displayed. As you can see, this is a major update and we have completely restructured the plugin in order to extend it with the new features. This also changes the way you use the plugin. Now you get to use only one block that includes all the recipe details, as opposed to previously using two separate blocks for ingredients and directions. What will happen with my previous recipe cards? No worries! Your previous recipe cards will remain intact, as the separate blocks for Ingredients and Directions are still part of the plugin. 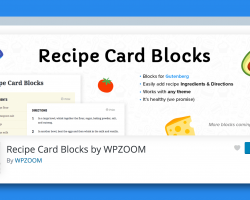 However, for future recipes, we recommend using the new Recipe Card Block (Schema.org) block to make use of the new features it is packed with. Good question. JSON-LD is a data format used in programming. 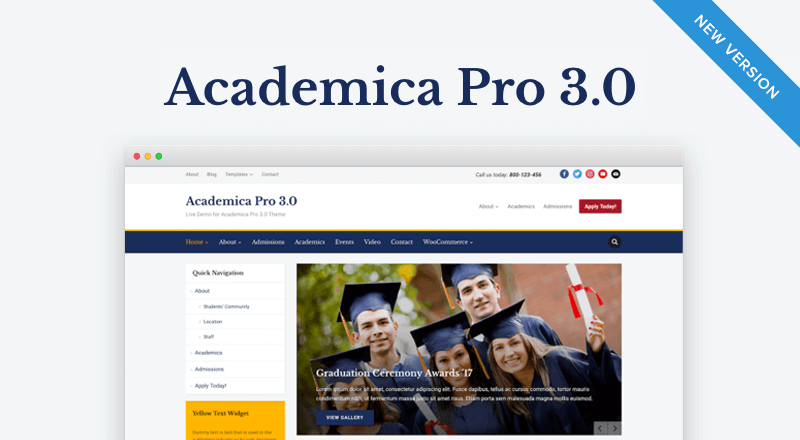 It is the most popular and recommended schema markup and the preferred one for search engines like Google and Pinterest. Guess what? The new update is completely compatible with JSON-LD, therefore your recipes are in good hands. 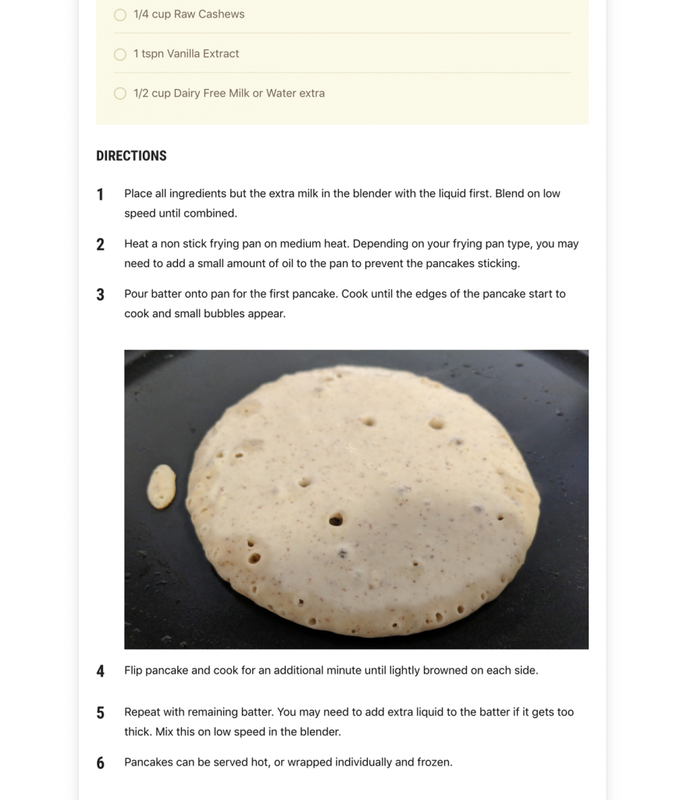 The new update includes the option to choose between two recipe card styles. It’s up to you to decide if you want to go with the classic Foodica-styled recipe card or for a more modern and minimalist look. 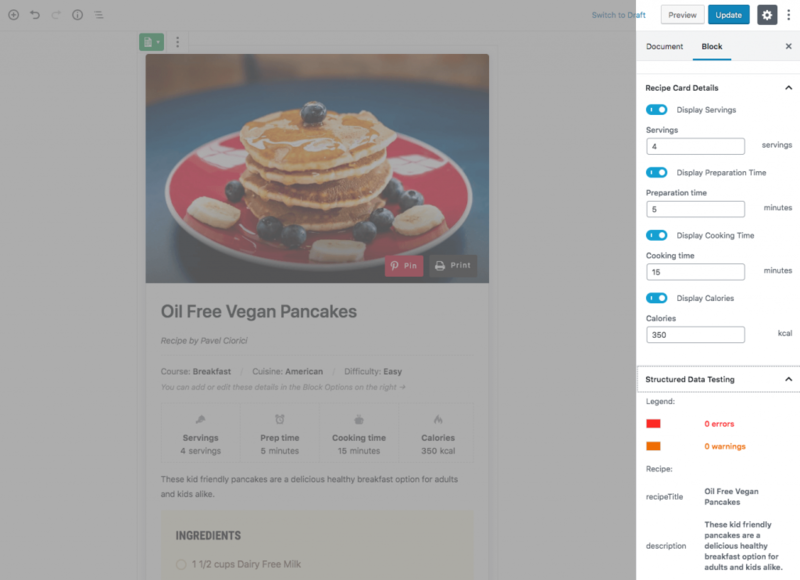 The new version of Recipe Card Blocks includes a separate page where you can adjust some global settings for the plugin. 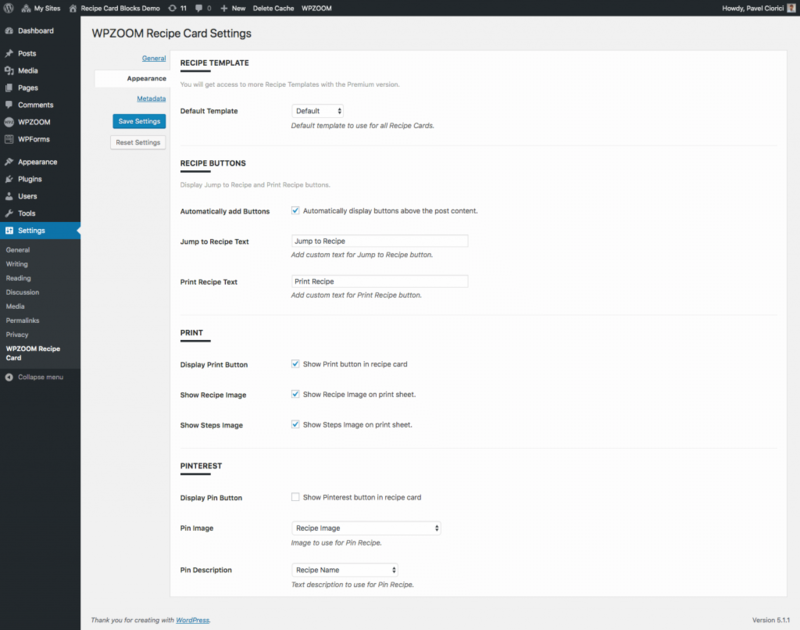 Simply go to Dashboard > Settings > WPZOOM Recipe Card and select the preferred options for general, appearance or metadata settings. 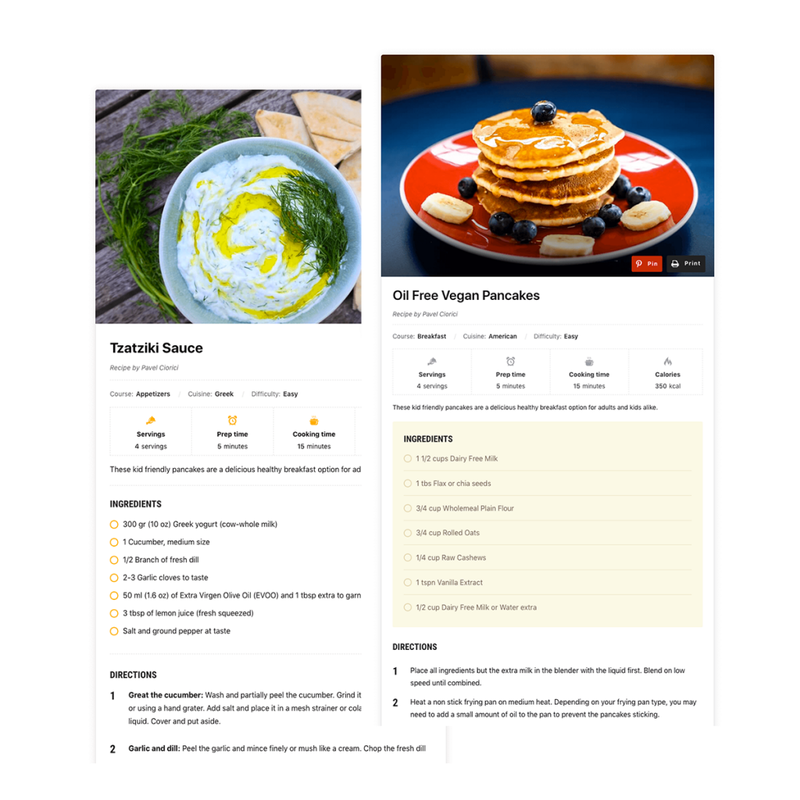 We know this is one of the most requested and awaited feature, so here you go: Recipe Card Blocks now supports adding images in the recipe directions section. This will help you provide extra clarity to the recipes and improve the appearance of your recipe cards. We’re super-excited to announce that very soon we will release the Recipe Card Blocks PRO version that will include some new extended features. It will allow you to manipulate with even more advanced options for your recipes. Curious to find out more? Simply subscribe below and you will be the first to find out all the details and when will the plugin be released. 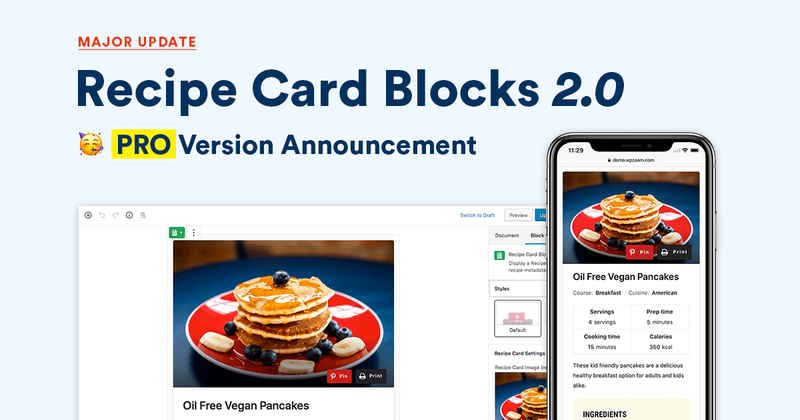 Subscribe below and be the first to find out about the Recipe Card Blocks PRO release! Have you already played around with the new update? As always, feedback and suggestions are welcomed in the comments section. 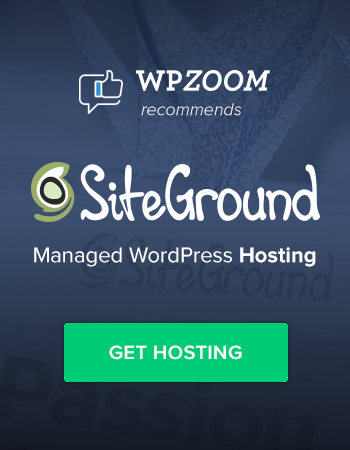 Graphic Designer & Community Manager at WPZOOM. In love with layouts, user experience and helping people.